The choice of kids footwear is one of the most important decisions of young parents. Properly selected baby shoes have a positive impact on child’s development. In addition to comfort, shoes for babies should also be stylish. Before purchasing, see some of our tips. First, answer to the most important question: what time of year you need the shoes for? ... Check what fabric they’re made of. The best ones will be those of a good quality materials. Natural leather mixed with synthetic water-resistant fibers will ensure that your child's feet won’t not get cold. The second step should be to check the soles. The shoe should not "bend" in the middle; be flexible and bend in 1/3 of the instep. Once each criterion will be met, check the fastening. For active children, the best shoes will be those that are laced. You will not have to worry that your child will fall. Similar like in the winter, shoes for summer should be made of natural leather and high quality materials. See all those that absorb sweat and discharge water vapor from the shoes. Infant sandals will be perfect for the hot months. They should be loose and easily fastened. This way you will be able to put a sock on the child’s foot and protect it from the harsh sun, cold and blisters. In addition to thermal comfort, you should also take care of safety. Many models of shoes are now equipped with reflective and anti-slip elements. The first makes them visible from a distance of more than a hundred meters. The anti-slip mechanisms is your extra pair of hands, protecting against a painful fall. In the first months, the newborn shoes and infant shoes do not have to be shoes at all! Specialists often pointed to the fact that walking barefoot brings beneficial effects for the development of children's feet. Invest in a non-slip socks. Thanks to them, the leg will learn to operate properly and carry the weight of the body. Such work will allow the foot to develop well and will prevent flat feet. Several weeks in socks will bring beneficial effects for the movement apparatus. How to choose ideal shoes? Despite the prevailing myths, toddler shoes and infant shoes should not be fully built. The best shoes will be the ones ankle-high, because they do not hamper movement. Lower shoes will allow freedom of movement. Select quite wide shoes, but not too big. Make sure of it, because a shoe that is too big will lead to a flattening of the foot and its abnormal development. The choice of the ideal pair of shoes, however, does not end at this point. Your task is to monitor the child daily. Whining and reluctance to walk should be your wake-up call. Then, most often, it turns out that the foot of the child grew and walking in the tight shoes causes discomfort. Gucci provides elegance not only for adults. 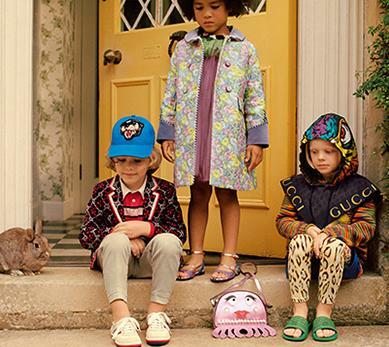 Gucci collection for children has had its debut several years ago yet its timeless character still wins the hearts of moms. Ever since the brand launched shoes, clothes and accessories, the golden bear, which is the logo of the brand, has no longer been the symbol of an ordinary toy. Golden bear by Gucci is an expression of craftsmanship and elegance. 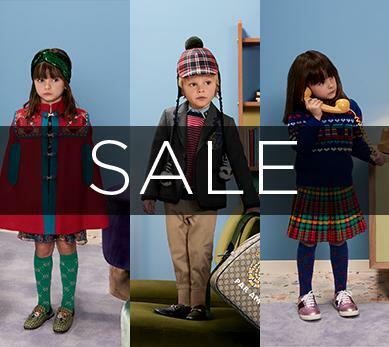 Today, the collection enjoys popularity, already under the name Gucci Kids. 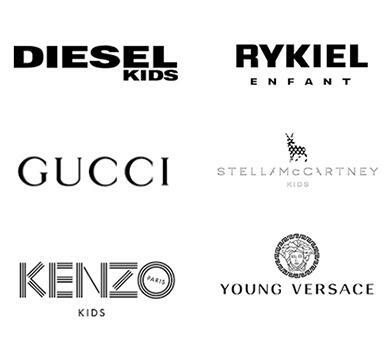 This luxury Italian fashion house is not the first one to introduce kids' fashion to the catwalks. At the beginning of the century Dolce & Gabbana took care of chic young mothers. Their "junior" collection and elegant dipper bags took the everyday gadget to the level of art. Make to put the designer baby shoes on your baby’s feet. Inject the love for fashion from the very early age. Search for inspiration in our online store Vitkac. Do not forget about yourself - you may be interested in accessories for moms from our store.